It was scary but we did it! Panyaden’s Year 7 students overcame a real physical and mental challenge at ‘Crazy Horse Buttress’ in Mae On District. For many, it was their first time rock climbing. What stood out was the camaraderie and encouragement between them as the students helped each other to overcome their fears. See more photos in Panyaden Y7 Field Trips on the School Blog gallery and on our Facebook page. 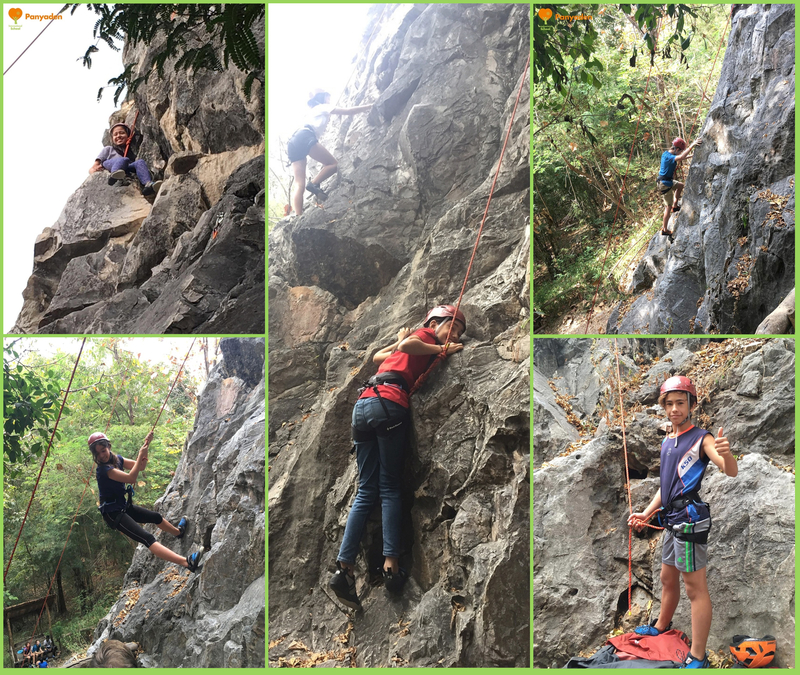 This entry was posted in Featured Posts, Others and tagged Crazy Horse Buttress, Panyaden Y7 Rock Climbing, physical and mental challenge.